More Than Fine: What Does Bioshock Have In Common With The Incredibles? What Does Bioshock Have In Common With The Incredibles? Digg this post by clicking here. On Thanksgiving Day, NBC broadcast the network premiere of "The Incredibles," allowing me to watch the film in HD - a pretty great experience since there's currently no other way to do so. I love the film, but every time I watch it, its overriding themes always bother me. 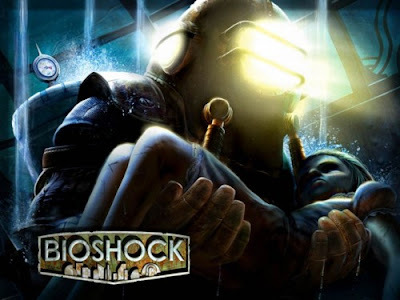 Coincidentally, I also recently played and beat the wonderful "Bioshock," by Irrational Games, which is what led me to write this post. Intentional or not , both of them derive strong inspirations from Ayn Rand's work. But where "Bioshock" illustrates the downfall of objectivism, "The Incredibles" spends most of its running time advocating it, to an extent that's fairly shocking for a mainstream film. This article will explore the similarities between the two works, but I will spend the bulk of the time interpreting their take on Rand's philosophies. While Bioshock shows us the promise of objectivism, with its beautiful underwater city loaded with brilliant scientists and artists, it also shows us its downfall. What Ken Levine, the game's writer, seems to be saying is that human nature is incompatible with Rand's vision of the heroic person and that objectivism, noble and promising as it may be, is doomed to failure. Ugly, dystopian, freaky, frightening failure. On the other hand, consider "The Incredibles." The supers will be granted amnesty from responsibility for past actions, in exchange for the promise to never again resume hero work. Where are they now? They are living among us. Average citizens, average heroes. Quietly and anonymously continuing to make the world a better place. The world in the film is one that clearly glorifies normality and same-ness. And that fact is intended to frustrate the audience, especially given the acrobatics we've just witnessed in the opening scene. We want to see these super heroes doing what they love to do, what they were born to do. And we hate that it's been taken away from them. Helen: This is not about you, Bob. This is about Dash. compete. Let him go out for sports! Bob: Because he'd be great! Mediocrity should not be celebrated, Bob seems to be saying. Greatness should be. And greatness, in the realm of the movie, means having superpowers. Weren't born with them? Too bad, even if you have an intelligence that can only be described as monstrously large (e.g. Syndrome). By the end of the film, Syndrome has transformed into an evil menace and the Incredibles are cheered for thwarting his plan, and eventually, for killing him. The message of the film seems clear: Those that hinder greatness will be destroyed. In the end, greatness reveals itself and triumphs over mediocrity. Pretty heady stuff, and actually a pretty horrifying message for a children's film. Except for one last thing. It's actually a poignant scene and funny scene. But what are we to take from all this? This last scene seems to confuse "the message" of the movie and it's not entirely clear what Brad Bird is trying to communicate here. Perhaps he is saying that everyone can co-exist peacefully, that being "incredible" isn't all that important, and that it's not necessarily exclusive of normality. If this is true, then I think it's a positive message, but certainly a contrast from the 1 hour and 45 minutes that have come before. Whether or not they were intentional, the parallels and messages are fairly clear. My law professor once called "The Incredibles" a "Republican movie." There are those that are incredible, there are those that aren't incredible, and that's just the way life is. You have to just have "it" in you (i.e. in the "Republican" analogy, "it" would be wealth, power, or an overriding desire for those things) and if you don't, you're looked down upon. When I first heard him, I didn't really know what the hell he was talking about. But now, I think I've come to terms with it. "Bioshock" and "The Incredibles" show two visions of objectivism. "Bioshock" glorifies this vision before burning it to the ground, and quite rapidly at that. "The Incredibles," on the other hand," simply glorifies it. Yet regardless of what these works have to say, they remain some of my favorites of all time, and I hope they will be for you too. Update (11:00pm, 12/10/07): There's been lots of great discussion going on in the comment section, so I thought I should take some time to respond. I think that responding to Brock's points will help answer some challenges that you guys have posed to my theories. As others have mentioned, Incrediboy was out of the running because he was a child without the training or skills to survive Hero work. Mr. Incredible said the exact same thing about his own children. I don't recall when Mr. Incredible said this about his own children, but in any event, Incrediboy was not Bob's child, and therefore, he wouldnt' have felt as protective over him. I don't think it's outside the realm of possibility that Incrediboy could have been trained over time, in a Batman-and-Robin situation. Certainly that would have been preferable to rejecting a potential apprentice outright. In the scene where Incrediboy's help is rejected, he hasn't done any of the times you've mentioned. If you're going to discuss movies, you NEED to keep your timelines straight. Sorry, Brock. YOU need to get your timelines straight. In the opening scene, Incrediboy has already developed rocket shoes that allow him to fly...technology that we don't yet have today (in the real world). He definitely showed promise and when he shows up years later with zero-point energy, it's not a complete surprise because we've already seen his brilliance demonstrated at such a young age. I would have thought that 'the problem' with Incrediboy/Syndrome was that he was a psychotic murder. The message I got was: "Those who build giant killer-robots, murder people, and try to destroy whole cities, will be opposed by good people who have the power to do so." The other lesson I got was: "Just because someone was mean to you as a kid is no excuse for building giant killer-robots, murdering people, or trying to destroy whole cities." What you don't fully take into account here is that the REASON Syndrome became a psychotic murderer was partially a result of his rejection by Mr. Incredible at the beginning. I don't disagree with you that he was a psychotic murderer (and should have been held to account for his actions) but if Incredible had said "Hey kid, you clearly are brilliant and have a lot of potential, despite your lack of super powers. I would like to train you as my successor," we can imagine the movie having a much different ending. It also would have been a much less exciting movie. without your precious gifts, your oh-so-special powers. I'll give them heroics. I'll give them the most spectacular heroics anyone's ever seen! And when I'm old and I've had my fun, I'll sell my inventions so that everyone can be superheroes. Everyone can be super. And when everyone's super...no one will be. This last line is delivered ominously, and with scary music in the background to boot. The director is indicating to the audience that they should fear Syndrome's vision of the future, a future in which there is nothing remarkable about anyone, a future in which everyone can be super. And ultimately, for a children's movie, I think that's a shame. Despite his hyper-intelligence, at this point in the film Syndrome still represents mediocrity, sameness, and the status quo, which (as I've tried to point out) is what the film rails against. "There's a large hole in your analysis regarding Bioshock though. In the end Rapture didn't collapse under the weight of its Randian ideals, but instead because Andrew Ryan betrayed those principles." I was thinking, isn't this EXACTLY why Randian ideals always fail, and wasn't this the point the writer made about it. In my personal opinion, if you really think it through, pretty much ANY form of government would work perfectly fine if human beings weren't so...human. Randian philosophy fails exactly for this reason. It fails to see reality beyond the naive ideals, and fails to see that human beings are greedy and selfish. For those that have read and taken my thoughts seriously, thank you. I have tried to do the same for yours. Even if you didn't agree, I hope you at least found the post thought-provoking. If more comments come in, I'll do another update (or if you feel your comment didn't get a fair shake, feel free to e-mail me and I'll try to write up a response). Well written. Though I think you missed out on the best Randian-rant from Incredibles. It is when Dash and his mother are arguing about sports and she says "Everyone's Special" to which Dash replies "Which is another way of saying no one is...". That said, I'm not horrified by the message. Many students I work with feel like they are entitled to certain things (say an 'A') just because they attend (or pay) for a course. If BioShock and the Incredibles combats entitlement I'm all for it. As someone that has seen the movie, played the game and read Atlas, this was a great article. Good prose mate!! Very well written!! Good try, but your analysis doesn't go deep enough. Syndrome (a.k.a. Incrediboy) is not a threat or evil because he wants to be great. It's because he wants to use his abilities for personal gain and glory ("I can fly! Can you fly?") rather than to help other people. He only wanted to "join" Mr. Incredible because Mr. Incredible was basking in glory. Syndrome would have become a villain eventually regardless. Robert Parr wants his son to be great, but it's a particular kind of greatness--the greatness of a hero, wherein excellence and altruism meet. Thus the final scene is not inconsistent; Dash is allowed to excel, but warned against the temptation of using his gifts for personal gain or at the expense of others. Power doesn't corrupt if you use it for proper ends. Calling it "Republican" is just unsophisticated politics. But I see where the objectivism parallels lie. I have to disagree with your assessment of the movie. Mostly I disagree with this, "Mr. Incredible doesn't mind working with cohorts like Frozone and Elastigirl, but Incrediboy seems to be out of the running simply because he wasn't born with superpowers". My objection is that you seem to think that Mr. Incredible denies Buddy's help simply because he has no powers. That is certainly how Buddy takes the rejection and moves the plot along, but I don't think that's what Mr. Incredible's objection was. First off, it's some strange kid that is obsessed with him (and from Mr. Incredible's point of view) is just another crazy fanboy. Also, Incredible's voiced objection is that he "works alone". And no where in the past do you ever see him working with someone! In fact he only coincidentally runs into others, but doesn't go off helping them, even when he's got nothing else to do. Of course he then does go working with his kids and family later on in the movie, but again, it wasn't his choice to work with them. He also even voices his concern that the kids are there and in danger. I think a better parallel to Rand's philosophy is that people (Syndrome) can become corrupt and overwhelmed with their power. Though from Bird's perspective, it doesn't seem to be inevitable. Extremely interesting. While I really like the Incredibles, I was somewhat bothered by the fact that only those born with powers were "great." I also never knew this was part of a larger philosophical movement. You forgot to mention the part where Mr. Incredible apologizes to Buddy, essentially only after he finds out Buddy was an incredible (in terms of engineering). Although Syndrom is the bad guy he is really right about his world; only those with power are respected. I have to be honest, I agree with the individualist elements of objectivism, in that personal freedoms should be the utmost priority for a rational culture. But objectivism and libertarianism go hand-in-hand from what I can tell, and I cannot support a completely laissez-faire approach to the administration of society. There have to be elements of control and oversight in the realms where public interaction is necessary, and this includes the administrative body itself, as well as the marketplace. A free-market system, completely ungoverned by rules of ethical behavior and relying on the trust system, do not work. It assumes an integrity which all-too-often is not there. The current merger/monopoly market we have today is indicative of what no regulation allows to happen. There must be a blend of personal individualism through civil liberties, combined with regulatory bodies to make sure people deal fairly with each other, or else a given society is doomed to accelerated entropy. There's a large hole in your analysis regarding Bioshock though. In the end Rapture didn't collapse under the weight of its Randian ideals, but instead because Andrew Ryan betrayed those principles. As two quick examples, when Fontaine was "killed" Ryan decided to nationalize Fontaine Industries out of fear of losing control of Rapture to Fontaine's successor. Furthermore, Ryan was willing to kill others to achieve his goals (see the Apollo Square Massacre), a direct violation of Rand's tenants. Those two betrayels led to the all out war and bloodshed that followed, not the Randian ideas the city was based on. If Ryan had been truly willing to let his idea flourish it would have meant he would not be in charge of Rapture anymore, and he could not have that. If anything Bioshock is a glorification of Randian ideals - look at all that they were able to accomplish. The story of Bioshock is one not of a failure of those principles, but one of man failing to live up to them. I think you erred in saying that Bud was rejected because he was normal. I think it's more reasonable to think he was refused from helping because he was a child and had not training. Mr Incredible did work with the police at the beginning, and the police have training to deal with it, and know the risks involved. A child doesn't. I think one of the underlying themes is that normal people resent those that are better than they are. At the beginning, the super heroes were forced to pretend to be normal. At the racing scene at the end, it was the incredibles holding back to try and fit in and not gather resentful attention. I used to think Objectivism was a neat idea too... then I turned 14. Rand's stunningly naive diatribes fail completely when held up against the fact that the mess America is in now is the fault of attitudes so close to Objectivism as to be indistinguishable, the rich have absolute power, because they "deserve" it and crush anyone in their way. Rand's big miss was that she had no idea that those who succeed on a mammoth scale do so not because they have greater skill or intelligence but because they are the most relentless, the most greedy, the most power hungry. The mess you are in is because of those people NOT having any checks and balances placed against them. I have to say that this is an incredibly well written article (no pun intended). However, being a comic book fan (especially Batman), I have to say that I get the spurning of the Buddy by Mr. Incredible. Hero work is dangerous and not just anyone should be allowed to take a crack at it. Hence Batman attempted to spurn Spoiler and Huntress' attempts in the vigilante game. And while you make a great case about Buddy in the film, you seem to fail to mention that Buddy/Syndrome's eventual actions are indeed criminal and should be thwarted. Should it be by (at this point) law-breaking heros? That's a different debate. Very interesting and well written, however I have to disagree strongly with one of your main points. There is absolutely no reason to believe that "Incrediboy" was rejected for being normal. Firstly, Mr Incredible doesn't take him seriously because hes a child. He indicates it wouldn't be safe for him and that he doesn't want to deal with looking after him. Secondly, there is no preference shown to his kids with powers when he and his wife believe that their youngest does not have powers. He is not treated like less and he seems to be as loved as the other two children. Very interesting. I was a bit surprised that you follow the Christian faith. Good luck w/ that. "Those that are smarter, more talented, or just plain better should be allowed to pursue their own interests without interference from government, religion, or anyone/anything else." To suggest otherwise is to say they should be interfered with by government, religion, or someone/something else - and that is unnatural and bitter. Who was born with the right to rule over them? What religion should interfere with them? What government should prevent them from the success of their own hands? Incredibly enough, you seem to have missed that that pose doesn't look like Atlas Shrugged but like Atlas. Sometimes a visual reference is just that simple. good read. although i sort of disagree on the reason for why mr. incredible rejected incrediboy. it's cause incrediboy is a kid. a child. he's just going to get himself killed and i sure as heck wouldn't want to have to take responsibility for him. neither does mr. incredible. Interesting observations.. though I would suggest that sometimes, as in the case of American History X, the bulk of a film can be used to apparently praise a certain way of thinking, only so that the ending in which that thinking is reversed can be fully appreciated. The two clearly share that storytelling method and it is therefore the ending (as is usually the case) that represents the true message intended by the author. Well written. Very nice job. IANAO (I am not an objectivist), but I think that Incredibles are more "Fountainhead" and BioShock is more Atlas Shrugged. Fountainhead never really had the government intervene by Force. Howard could succeed or fail. He could sell his work or not. He could choose to give it away. He did from time to time. His talent, and his choice on how to use it. If others resisted him, then, fine. It might be unpleasant, but collectivists have the legal right to be connivers. Atlas shrugged was about state-sponsored force driven by political popularity of ideas that weren't well thought out. The point was simply that the role of government ought to protect the freedoms of everybody; not compel someone to altruism through force. I enjoyed the analysis however narrow it was. Syndrome AKA Buddy was not seen as an annoyance because he was merely normal by Mr. Incredible's standards but because he was an inexperienced boy getting in the way of a grown-up's business. The resulting bumbling antics of his inexperienced interference almost ended with the destruction of a train and the deaths of dozens of people not to mention the actual escape of a bank-robber. This is not to say that Buddy should not be allowed to be a hero aka "incredible" but that he should have worked at it like so many "evil" capitalists have to work at their respective enterprises. If Dagny Taggart from Atlas Shrugged handed control of her railroad over to some wide-eyed child, the book would have concluded with the deaths of hundreds of people unwittingly traveling in coal-powered trains made of low-grade Hershey's chocolate. Bioshock's take on Rand's philosophy is flawed in its own right as well. For one, what society can thrive in a symbolic vacuum at the bottom of the sea? The relative isolation would be enough to drive anyone mad let alone individuals experimenting with gene-spliced superpowers. At least Galt's Gulch had access to fresh air and other natural resources, limiting the need for a black market (which is only illegal when a society deems it is). Bioshock seems to set up a city that has no government and no need for it let alone any sort of police system that would keep the gene-splicing psychos in check. Furthermore, the absence of a government prevents prosecution for individuals stealing others products and breaking contracts which helped aid in Fontaine cornering the plasmid market. When the government finally does step in in the form of a vengeful Andrew Ryan who has probably gone mad with power and became a hypocrite by instituting regulations (which by the way helped the rise of Fontaine), Rapture collapses under the weight of madness, corruption, and the fact most of the people in the city are technically not human anymore having drastically changed their genetic makeup. Now, I could have been mistaken by some of those plot points because it has been a couple of months since I have beaten the game. If the game's essential message is that a society built on selfishness cannot survive, then, using the Soviet Union as an example, a society built on selflessness cannot survive either. At least the latter is based on actual history. This is not to say that Ayn Rand's philosophy is the standard by which man should live. Many people choose to take the easiest route in life which can involve criminal activities. At the very least, Objectivist ideas should be something taught to people just as altruistic, self-sacrificing ideas are taught to people. I think that you overlook one of the best cases for your argument - the categorizing of Syndrome as an Irrational person (in response to the rational persona of the supers that you suggest). By making Syndrome an irrational person puts him in direction opposition to the supers because the Irrational people in Randian and Objectivist philosophy will always try to bring down and destroy the rational man. It's apparent in the Fountainhead, but alas, it's been years since I've have read the book, and I can't recall the characters name. So looking at syndrome -- we see him attacking the rational man (supers) with some success. Ultimately, however, he would be overcome more by himself, than the supers. It was his own "irrational" behavior that led to his ultimate demise. The supers, the "rational" ones, helped, but as you recall, it was the cape that was his downfall. I would be interested to see how you respond to the constant use of violence, as objectivist theory abhhorres physical violence of any kind. Being a super-hero, in specific, we see the rationals engaging in a violence with an alarming frequency. It should also be noted, that the supers never ask for anything in return for their good deeds--again, something that Objectivist philosophy abhorres. They will want fair, rational payment for their services, as performing semaratian acts is ultimately not in the super's best self-interest. Another interesting character I think to look at with an objectivist tint would be Edna. Now she is an interesting character. I really have no resposne for BioShock - not that I don't want to play it, just haven't. Hear it's an awesome game though, and have read several critiques already of it being a failed objectivist utopia--which is also phenomenal. That's your summation? Weird. To put it lightly, I think you missed some of the humanist nuance. But let's talk about the Incredibles (I haven't played BioShock). "Speaking of which, there is a clear delineation between the supers and "normals." The character Incrediboy/Syndrome/Buddy, played deliciously by Jason Lee, is one of the latter, and his affections for hero work are repeatedly rebuffed by Mr. Incredible." Actually, I think part of this film is how Incrediboy appeared normal, but that Syndrome proved he was a Super. This "Superness" was not physical, but was entirely from the sweat of his genius. But there's nothing wrong with that; the suit designer Edna Mole was clearly a protagonist of the same sort. "Incrediboy seems to be out of the running simply because he wasn't born with superpowers." "Forget the fact that he has worked immensely hard and has single-handedly engineered incredible technology; in the opening scene, he is depicted as annoying, foolish, and almost responsible for destroying a train full of innocent bystanders." There's no need to forget it. In the scene where Incrediboy's help is rejected, he hasn't done any of the times you've mentioned. If you're going to discuss movies, you NEED to keep your timelines straight. "The primary problem with Incrediboy is that he's not one of the "chosen" ones, he's not "incredible."" Really? You think so? I would have thought that 'the problem' with Incrediboy/Syndrome was that he was a psychotic murder. "The message of the film seems clear: Those that hinder greatness will be destroyed." Again, we differ. The message I got was: "Those who build giant killer-robots, murder people, and try to destroy whole cities, will be opposed by good people who have the power to do so." The other lesson I got was: "Just because someone was mean to you as a kid is no excuse for building giant killer-robots, murdering people, or trying to destroy whole cities." I was happily surprised with the things said in the incredibles. I didn't know that thee was a relating philosophy, thank you for pointing that out. Like the comments as well. I think what is meant in the incredibles is that you should not believe that you are a nobody. The supers are they who know they can do more but are not allowed in real life. It's not as black and white as depicted in the movie, that some are super and some are not and you should deal with it. You should live up to your dreams. Don't let anyone tell you you can't do something. And if you become someone, use your powers for good. I think that's the message. There's a large hole in your analysis regarding Bioshock though. In the end Rapture didn't collapse under the weight of its Randian ideals, but instead because Andrew Ryan betrayed those principles." You know having just wrote that, why can we not take the Randian philosphy to its end and find out that really the bad guy in Bioshock was acting in his own self interests by going against the Randian ideals and thus in a way following those ideals. In this situtation, all it takes is one person to screw it up for everyone else. "If anything Bioshock is a glorification of Randian ideals - look at all that they were able to accomplish. The story of Bioshock is one not of a failure of those principles, but one of man failing to live up to them." This is exactly why Ayn Rand's vision would never work in real life, because of REALITY and humaness. If we were to find the most benevolent dictator the world has ever known, it would probably be just as good as pure socialism, libertarianism, and democracy, but every single one would require humans to be nice to each other. The biggest problems with some of these ideals is that they all deny the shades of gray between the black and white. That, sir, was a damn fine read. Much nicer than the "feminist film critique of Portal" I read yesterday whose essential argument seemed to be, "doesn't a Portal look kinda like a cooch?" "Incredibly enough, you seem to have missed that that pose doesn't look like Atlas Shrugged but like Atlas. Sometimes a visual reference is just that simple." Yeah, it's pretty easy to see, for anyone who isn't looking to rail against a certain ideology, that the point of the Incredibles is that everyone should be able to live up to their own abilities, even if you have to do so in secret. Bob could have been the best insurance man there ever was, had he actually been allowed to help people. I also think that the reason Dash came in second at the end of the movie rather than first by a country mile is so that he could keep his secret identity just that, a secret. But the real meaning of The Incredibles did have a more conservative flavor to it, though why someone would label that Republican is beyond me. The real point of the story was a traditional family, the emphasis on family, the absolute willingness to put off your career and do whatever it takes to try and get that family to work. That's why one of the deleted scenes was Helen defending being stay at home mom, a very conservative point of view. But I agree with a lot of objectivist points of view, however, I also understand the need for checks and balances because of human nature. That means I'm not going to abolish all taxes nor am I going to wish I had universal healthcare. Quote: "I was thinking, isn't this EXACTLY why Randian ideals always fail, and wasn't this the point the writer made about it. In my personal opinion, if you really think it through, pretty much ANY form of government would work perfectly fine if human beings weren't so...human. Randian philosophy fails exactly for this reason. It fails to see reality beyond the naive ideals, and fails to see that human beings are greedy and selfish." Anyone who believes this about Rand-ian philosophy obviously hasn't read anything by Ayn Rand and has only enough passing knowledge of objectivism to be dangerous. I would expect no less from a liberal christian blog. great article! nicely done. and i disagree with a feedback comment about how the distinction between the villain and the pars' as being about selfish glory vs. selflessness. the whole spider-man "to protect and serve" is not played up much in the incredibles. in fact, most of the heroic action does indeed seem to stem from selfish, glory driven desires. also bob relishes in dash's ability to beat a camera while placing a tack on a teacher's chair. actually, ever since toy story, where the moral of the story seems to be a sort of odd "reverse pinnochio" - you're not real, you'll never be real, get used to it - i thought the morality of pixar movies in particular were, if not subversive, just really kinda odd. Many reviewers noted the similarities when the film was released, not only to Rand but even more to Nietzsches theory of the übermench. Übermenchen are above the petty morals of normals - the only real crime they can commit is to degrade themselves to the level of normals. The greatest crime normals can commit is to try to put themselves at the level (or above) the übermench. The nazis applauded this theory, and so appearently without any irony, does the Incredibles. This blog sums it up it best. You say "What you don't fully take into account here is that the REASON Syndrome became a psychotic murderer was partially a result of his rejection by Mr. Incredible at the beginning. I don't disagree with you that he was a psychotic murderer (and should have been held to account for his actions) but if Incredible had said "Hey kid, you clearly are brilliant and have a lot of potential, despite your lack of super powers. I would like to train you as my successor," we can imagine the movie having a much different ending. It also would have been a much less exciting movie. My problem is with Mr. Incredible's reason for not accepting Incrediboy, and I think it was primarily a result of his not having superpowers (and secondarily as a result of other reasons, e.g. he was annoying, he was young, he was inexperienced, etc.)" So you are you saying that Mr. incredible is somewhat responsible for Incrediboy and thus Syndrome's actions? So are you likewise saying that we are not responsible for our actions? You are saying we can blame others, like Syndrome does with Mr. Incredible, for our negative reactions to rejection? I find that highly questionable. Are you saying that Mr. Incredible has no choice in the matter, and that he 'should' take Incrediboy as an apprentice, otherwise he's a irresponsible? What about the freedom to say no? Can't Mr. Incredible just say no? He made a choice and that was that. If you over think it, you'll lead to the (moral) conclusions you did. There's nothing wrong with not helping someone. Maybe not helping someone is the best thing you can do. We all can't predict the future. In the case of the Iraq war, I would say definitely not helping them (in Bush's eyes) would have been the best route - to leave them alone. Are you a moral do-gooder? Can you live in peace with yourself? IMO, Syndrome is a product of thinking about something too much. That is shown out in the movie too. If he had just accepted his rejection and moved on, things certainly would have been different. If Mr. Incredible did apprentice him, who knows, maybe his inability to take rejection would have just surfaced later anyway - except that he would be more powerful from being an apprentice. Take it from the perspective of ego, from mind, from thinking too much and identifying with the thinker (the false self). You'll gain another perspective. I haven’t played “Bioshock” but I’m a big fan of both Ayn Rand and “The Incredibles”. I find most of your essay very thoughtful but I would agree with the other commenters than Syndrome was excluded from “hero-dom” for reasons separate from his lack of superpowers. As Brock mentioned, Edna Mode is a clear example of someone with great non-superpower talent who is respected (and a little feared) by other “supers”. I believe Syndrome’s exclusion was less due to his young age and more from his lack of individuated identity. From the movie, it appears this is a world with no sidekicks. Even Edna works alone in an automated lab without assistants. Syndrome as Buddy, did not attempt to use Mr. Incredible as an inspiration for his own heroics. Rather, he wanted instantly to be associated with someone else’s reputation. As an adult, he then defines himself as an opposing force to heroes and specifically Mr. Incredible. Syndrome never exists as a hero or even a villian to be considered alone; his actions are always driven by his perception of how others judge his worth. I would say Syndrome like Toohey in “The Fountainhead” derives his sense of self from his antagonistic relationships to others. And like Toohey, he is presented as a skilled opponent. However, Syndrome is so concentrated on either countering superheroes or emulating them that he can never be his own man. This is a personality flaw totally separate from his lack of superpowers. So while Mr. Incredible’s dimissal of Buddy is a bit harsh, I think it is entirely deserved. Buddy didn’t earn a place by his hero’s side. He appeared there expecting his enthusiasm to pay his way. I would agree his inventions demonstrate he had the capability and talent to be a hero. However, he is not shown as having the personality or character of a hero. But isn’t that the case with most great super-villans? I will say also that “The Incredibles” does imply some interesting things about being independent versus interdepent. While initially superheroes are shown as lone wolves, the movie focuses on Mr. Incredible’s journey from being by an independent person to learn how to be a part of a team without giving up his identity. He chafes under the pressures of family and society but ultimately strikes a balance between conforming and being who and what he is. This is a balance lacking in Rand’s work. It’s one of the reasons why I find “Atlas Shrugged” so frustrating as well as enjoyable. BTW, thanks for the “Bioshock” clips. I’ve never been one for videogames but I must admit that I’m quite intrigued. Silly me, I though The Incredibles was a kids movie with the age old story of good guys vs. bad guys. Mr. Incredible doesn't want Buddy tagging along for the same reason I don't let my 4 yr work a band saw, its dangerous and he could get hurt. In situatiosn like that I also prefer working with other Supers (adults). You're always going to find thinly veiled comparasions of kids movies and psuedo-intellectual tripe if you dig hard enough. I blogged about this on my team blog a couple months ago. Suffice it to say I disagree but it's always great to hear other perspectives. In the real world, you can be born with certain talents, but the ones who really succeed are the ones who work, get lucky, and work some more. A born musician who doesn't practice will lose out to a mediocre player who does. But in the Incredibles, normal people becoming super through work or brilliance is something evil. The scene at the end with Dash running makes my skin crawl. Are we supposed to be cheering him on for beating all those normal kids? Of course he's going to win; if you put me in a stair climbing competition with a wheelchair-bound geezer, I'm going to come out on top, but I wouldn't expect anyone to cheer me on. Another cartoon put it better, when a superhero played up his superiority: "But I have these powers! I'm better than those lowly humans! I'm special." only to have someone correct him. "No, those powers just make you different. What you do with them makes you special." It's a good article, but I'd suggest comparing the Incredibles to Meet the Robinsons. Quote "Anyone who believes this about Rand-ian philosophy obviously hasn't read anything by Ayn Rand and has only enough passing knowledge of objectivism to be dangerous. I would expect no less from a liberal christian blog. Geez, why not posts some ideas to back up your hypothesis at the very least. I can say with 100% certainty that i read Ayn Rand. I read The Fountainhead as my interest in Architecture was peaking, and I slogged throught he thousand pages of "Atlas Shrugged"'s incesantly repeating crap that could have been said in the space of a standard novel. If your going to try to counter my claims it might help if you put some actual thought into it rather than repeat what others have probably said for you. I've never been to this blog before but found the article and discussion fascinating. You can believe whatever you want about a "liberal Christian blog" but I can guarantee you'd be 100% wrong. If your so enamored with Randian ideals, why not enlighten us rather than put down someone you don't even know. You posted absolutely nothing to counter my claim. I'd be happy to shoot down your ideas with ideas of my own, not just post to try and insult you. so...much...written...anyway, i just wanted to respond to a point brackhar made. you said ryan would have lost control of rapture if he allowed his idea to flourish, and he could not have that. but, i believe that fontaine was already exhibiting atrocious criminal behavior, and ryan was trying to keep his successor from making the same megalomaniacal power grab for rapture. that doesn't excuse his own insanity and massacre of innocents, of course. Rand denied instincts and inherent knowledge. Competence is the gold standard of one's character. Developing your talent pursuing the values you love is a result of having a purpose in life. 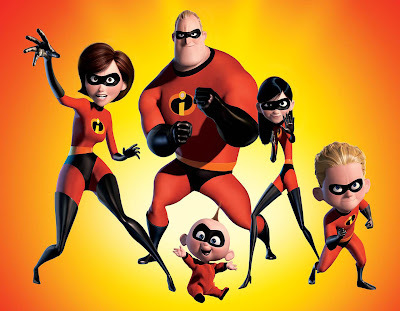 The Incredibles is not an objectivist movie, because objectivism doesn't claim there are inherently 'super' people. It denies all forms of determinism and instinct. Bioshock isn't an accurate 'future prediction' of an objectivist society, because objectivism (and Ayn Rand) hold that government is necessary for the defense of the individual's life and earned property. Anyone claiming that Rand supports anarchist non-government society, or inherent 'greatness' in a few men is either mistaken or a liar. Interesting hypothesis here, but you've failed to either 1) disprove objectivism or 2) effectively smear Ayn Rand. I find it interesting how you take some of Rand's ideas out of context, and leave out important aspects of them in order to make them seem evil. Those that are smarter, more talented, or just plain better should be allowed to pursue their own interests without interference from government, religion, or anyone/anything else. You're completely ignoring the fact that she suggested people do this without infringing upon the rights of others to achieve this same happiness. Comparing Edna and Buddy as "normals" in the context of the Incredibles would help put much of the film in a better perspective. Buddy's problem is that he doesn't accept his own powers and use them in a constructive way. Both Edna and Buddy are brilliant, but Edna uses her ability for her own fulfillment and productively. 4 years late to the discussion. I apologise if someone else has pointed it out already. It ironic in sense that Mr. Incredible is complaining about society "putting him down", preventing him from using his abilities to the fullest to live the life he wants when that's the exact same thing he did to Buddy. I kind of feel this breakdown of the film fails to account for the characters in a story not automatically being a mouthpiece for the author's beliefs. Mr. Incredible grows and changes over the course of the film. He could be fit into a Randian ethic at the beginning, when he is proud, pig headed, and full of himself. His initial rejection of Buddy is based around that. He comes to see how misguided he was later, and Syndrome rightly, ironically, notes this realization only came because he was threatened. Meanwhile, in the scene where Mr. Incredible spares the life of Syndrome's assistant, she angrily informs Syndrome later that Incredible's show of mercy and compassion is not weakness. This is a slap in the face to Syndrome-as-Objectivist-representative. A core point in the story is that while Syndrome may have been triggered early on by Mr. Incredible's thoughtless, selfish attitude, he grew into the perfect symbol of the objectivist dream. In that sense Mr. Incredible is guilty of having created his own monster by not considering his earlier attitude and philosophy. That in itself may be a deeper meta commentary on what the Objectivist movement turned into after Rand's initial inspiration and expressed views on life. One must remember that the film invokes images and ideas related to the time in which it is set - a nebulous, fictionalized 1960s. This is the era of social conflict, of conformity vs. new age people, and of Ayn Rand herself. 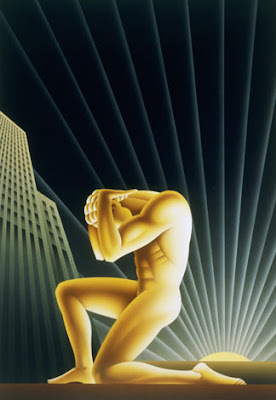 I would not be surprised at all if Brad Bird invoked some Objectivist images as they fit the era portrayed in the movie. But that doesn't mean the story is acting as a justification for Objectivism. It's something of a long-running story on the internet that this film is an Objectivist fairy tale but I have yet to see an analysis that understands all the themes interlocking in the script. It's an age old-issue of well-meaning writers observing only the surface symbolism and taking it all literally.